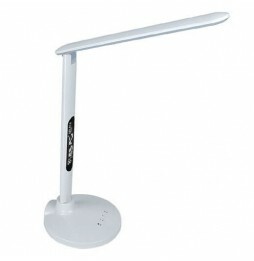 Multifunction led table lamp with USB socket, alarm clock and thermometer. Folding arm. For any information, contact customer service.